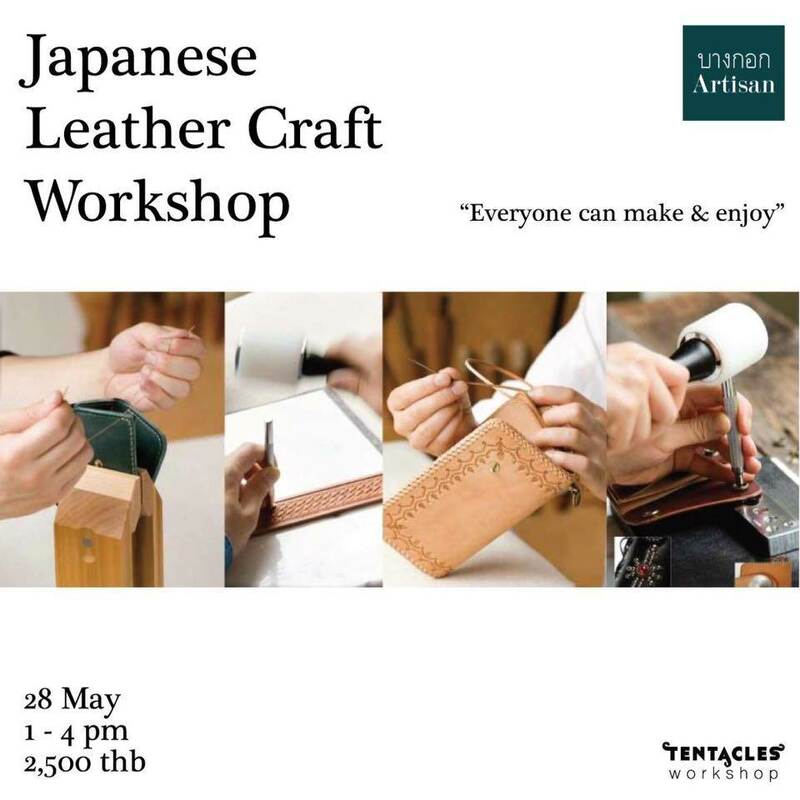 “Japanese leather craft” offer you a chance to learn how to create the delicate leather work in Japanese style, teaching by the Japanese “Shishou” or “Maestro” in leather craft from Japan himself. You will learn the necessary basic skills & techniques to create the high quality leather piece with the high quality tools from Japan. Step by step from gluing, edge painting, and hand stitching through the making of small leather goods such as Japanese design key ring and coin case.